Jewish Comedy - Description | W. W. Norton & Company Ltd. 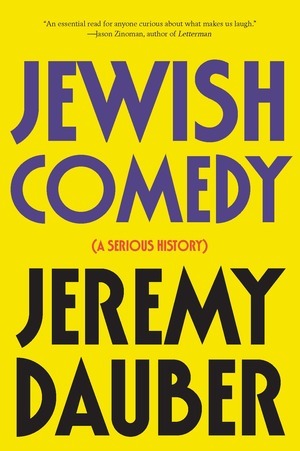 In a work of scholarship both erudite and funny, Jeremy Dauber traces the origins of Jewish comedy and its development from biblical times to the age of Twitter. 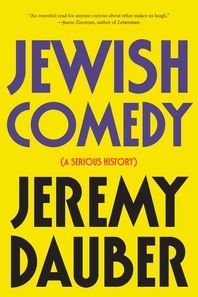 Organising his book thematically into what he calls the seven strands of Jewish comedy (including the Satirical, the Witty and the Vulgar), Dauber explores the ways Jewish comedy has dealt with persecution, assimilation and diaspora through the ages. He explains the rise and fall of popular comic archetypes such as the Jewish mother, the JAP, and the schlemiel and schlimazel. He also explores a range of comic masterpieces, from the Book of Esther, Talmudic rabbi jokes, Yiddish satires, Borscht Belt skits and Seinfeld to the work of such masters as Sholem Aleichem, Franz Kafka, the Marx Brothers, Woody Allen, Joan Rivers, Philip Roth, Sarah Silverman and Jon Stewart.